The Pacific Performance Project/East (P3/East) was founded in 1994 by Robyn Hunt and Steve Pearson in response to a growing dialogue about culture and theatre and the unique influences they experienced living in the Pacific Rim. The P3 became the research wing, a studio in which they could explore and experiment with new ways to integrate the mind and the body in performance. Hunt and Pearson began working with noted Japanese director Tadashi Suzuki and his company in 1982, studying his theatre techniques and acting in productions in Japan over the next twelve years. After several years of study, Mr. Suzuki encouraged them to be among the first to teach his techniques in the United States. Embracing the necessity and value of what Eastern philosophers have called “Beginner’s Mind”, Hunt and Pearson interwove these techniques with Stanislavski’s recognized action theory as they continued their professional work acting and directing on stages around the world. Original productions evolved from these new experiments and led to the development and continual evolution of the P3/East methodology. Balancing their work as international artists with teaching, Hunt and Pearson developed graduate actor training programs at the University of California in San Diego, the University of Washington in Seattle and most recently, the University of South Carolina. In 1987 Hunt and Pearson saw the Tenkei Company perform Shogo Ohta’s masterwork MIZU NO EKI (The Water Station) in Tokyo. They were struck by the elegant simplicity and extraordinary power of the work, and realizing that the demands of slow tempo complemented the Suzuki training in important ways, began in 2000 working intensively on slow tempo and silence. They traveled to Kyoto to train with Mr. Ohta, who directed them in a new version of the play. He then encouraged them to use and expand on his methods, pleased that his work should come to the United States. This unique practice developed by Hunt and Pearson addresses the kind of integration and deep focus performance demands. It simultaneously provides something that is now deeply, urgently necessary in this cultural moment: an innate need for quiet, for aural and visual space, and for silence, so that the complete eclipse of web connectivity might find some counterbalance. P3 practice looks to this silent landscape, one which can only be revealed when we carve out authentic time away from noise, from smart phones, from screens, from the misnomer of multi-tasking. P3’s work is marked by this ardent search for spaciousness, and its efforts to utilize and comprehend the unique and highly specific methodologies of Mr. Ohta and Mr. Suzuki. Pacific Performance Project/East invites *artists of all disciplines as well as those who seek balance and a return to this to come train and work, and in and any citizens to to train and work, but any citizen ready to take a walk in this other landscape. Artists, students, and professionals from all walks of life have sought this practice, and speak highly of its clarifying and restorative capacities. A member of Actor’s Equity, Hunt has acted professionally in the U.S., Canada, Europe and Japan. She worked for over a decade with Tadashi Suzuki, performed in Tokyo and Kanazawa in OPIUM, a joint Pacific Performance Project/Theatre Group TAO production under the direction of Kenji Suzuki, studied and performed in Kyoto under the direction of Shogo Ohta, and between 1994 and 2000 performed frequently at the Actor’s Theatre of Louisville, under the direction of Jon Jory. Hunt was co-founder and first artistic director of the San Diego Public Theatre and co-heads the Pacific Performance Project/East now based in Columbia, S.C. and E. Sandwich, Massachusetts. In 2001, she received a University of Washington Distinguished Teacher award. In 2013, she was named one of five new Carolina Distinguished Professor endowments. 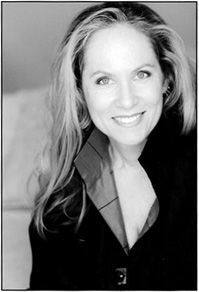 Acting roles include: Dottie in NOISES OFF, the title role in MOTHER COURAGE (Connecticut, Seattle and Columbia), Ranevskaya in GRAVITY (Seattle Playhouse, and the Connelly Theatre, NYC) and in THE CHERRY ORCHARD SEQUEL at LaMama, Serafina in THE SUICIDE, Titania in A MIDSUMMER NIGHT’S DREAM, and multiple roles in BLACK SNOW. Hunt performed in the New York debut of Peter Kyle Dance as Miss Haversham in “To What Extent” at the Henry Street Settlement/Abrons Arts Center in fall 2007; in 2000, she appeared in another Kyle dance, “Going.” She has created several evening length dance/theatre pieces, including the trilogy SUITE FOR STRANGERS, which had its Seattle debut in 2004. Other dance/theatre collaborations (with Peter Kyle and Steven Pearson) include: MYRA’S WAR, PRIX FIXE, and Shogo Ohta’s THE WATER STATION (MIZU NO EKI). She wrote FLIGHT, which toured in 2014 to Edwardsville, Illinois, Flint, Michigan and to Bangor, Maine. She appears in the January, 2008 article “Shaping the Independent Actor,” in AMERICAN THEATRE magazine; in winter 2012 GIA READER, “”An Artist Examines the Intersection of Creating and Teaching,” and in THEATRE Forum, fall 2000, in two articles on OPIUM. She performed at DNA in New York in Nancy Bannon’s THE POD PROJECT in 2009, and later as Cherish in Bannon’s DRINKING INK at the 92 Street Y in New York. She most recently appeared as Alisse in FLIGHT. Steven Pearson has directed and acted professionally in the US, Canada, Europe and Japan. 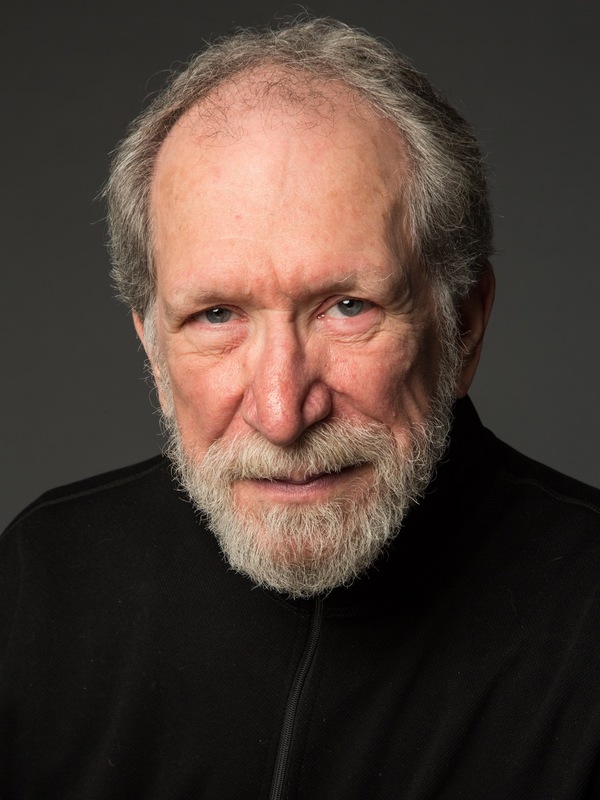 In addition to theatre work, he has performed in New York, Los Angeles and San Francisco with Malashock Dance and Company, worked with performance artist Eleanor Antin on several tours, and directed a number of original operas including TRILLIUM by jazz great Anthony Braxton. In 1982 he began 12 years of intensive work with Tadashi Suzuki. In Japan he played in NIPPON WARS, CLYTEMNESTRA, and Claudius in HAMLET. Steven is a co-founder of Pacific Performance Project/East and under that umbrella has directed DAYS AND NIGHTS WITHIN, MIZU NO EKI, END OF THE ROPE at LaMama and in Romania, MYRA’S WAR, BALANCE, GRAVITY and FLIGHT. He also conceived, wrote and played Thomas in OPIUM directed by Kenji Suzuki and performed in Seattle, Tokyo and Kanazawa, Japan. He played Hooke in Peter Kyle’s SKIPPY-O’S DREAM, and the performed in the premiere of Peter Kyle Dance at the Henry Street Settlement in New York. 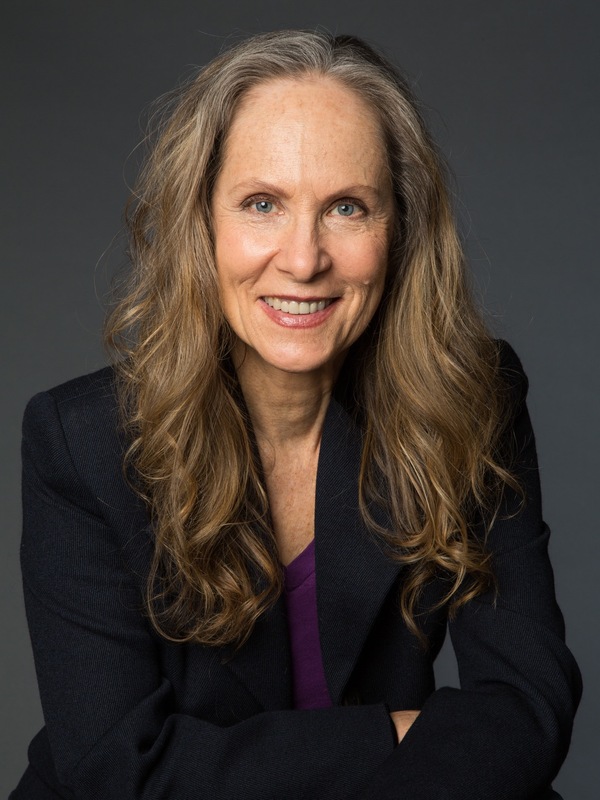 Other professional work includes the premiere of FLAGS by Jane Martin produced by the Mixed Blood Theater and the Guthrie Theater, playing Firs in THE CHERRY ORCHARD SEQUEL at LaMama in New York, and as LJ in Nancy Bannon’s DRINKING INK at the 92 Street Y in New York. Directing projects include: VALLEY SONG, THE SUICIDE, POLAROID STORIES, BLACK SNOW, EARTH AND SKY, A MIDSUMMER NIGHT’S DREAM, THE THREE SISTERS and FLIGHT. Steve was Professor of Acting in the Department of Theatre at the University of California, San Diego, where he became head of the graduate acting program, and subsequently taught in the School of Drama at the University of Washington, where he headed the Professional Actor Training Program for eleven years. Currently, Steve is Professor and Head of the Professional Actor Training Program at the University of South Carolina in Columbia, South Carolina. Scott Giguereis a New York–based actor, teacher and director, who has been training with P3/East since 1993. He was in residence with the company in Kyoto, Japan studying and performing the Slow Tempo technique of acclaimed director Shogo Ohta, which he has continued to practice and teach here in the U.S. He has performed with P3/East in their productions of MIZU NO EKI, THE WATER STATION and GRAVITY, he has also appeared as an actor in regional theatres across the U.S. and on international stages including: Florida Studio Theater, with the Steppenwolf Company at the Seattle Repertory Theater, the Kyoto University of Art & Design, Sibiu Int’l Theatre Festival in Romania, On The Boards in Seattle, HERE Arts Center, PCPA in California, and Monomoy Theater on Cape Cod among others. 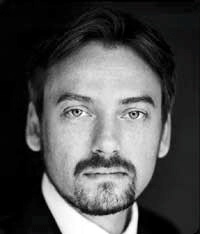 He also serves as the Theatrical Advisor of Peter Kyle Dance and has performed with that company at the Henry Street Playhouse, Triskelion Arts and on tour. As a teacher he specializes in physical performance techniques, including primarily the P3/East methodology incorporating the Suzuki Actor Training Method and Shogo Ohta’s Slow Tempo work, in addition he practices and teaches Viewpoints. He has taught movement and acting at the undergraduate and graduate levels at the University of Washington, Indiana University–Bloomington, Rutgers University, the University of South Carolina, and is currently on the faculty of Long Island University–Post. His directing gigs have included SWIMMING IN THE SHALLOWS by Adam Bock and original devised works based on Tennyson’s IDYLLS OF THE KING, Chekhov’s SEAGULL, the Icarus myth and HAMLET. Scott earned his M.F.A. in Acting from the University of Washington’s Professional Actor’s Training Program in Seattle and is a member of Actors Equity Association. 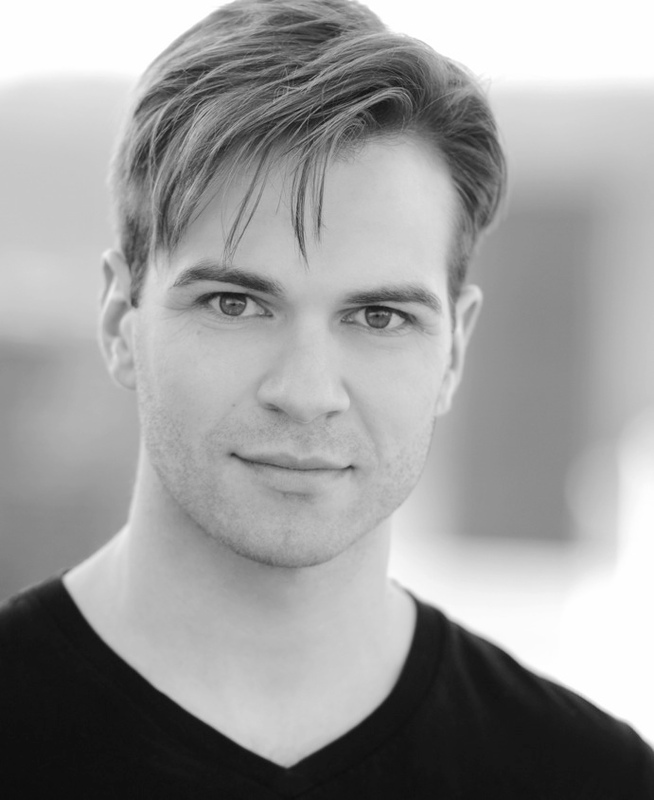 Jeremy Winchester‘s work as a freelance theatre artist has been seen across the country, from New York to Washington, to Idaho, Indiana, South Carolina and Connecticut. 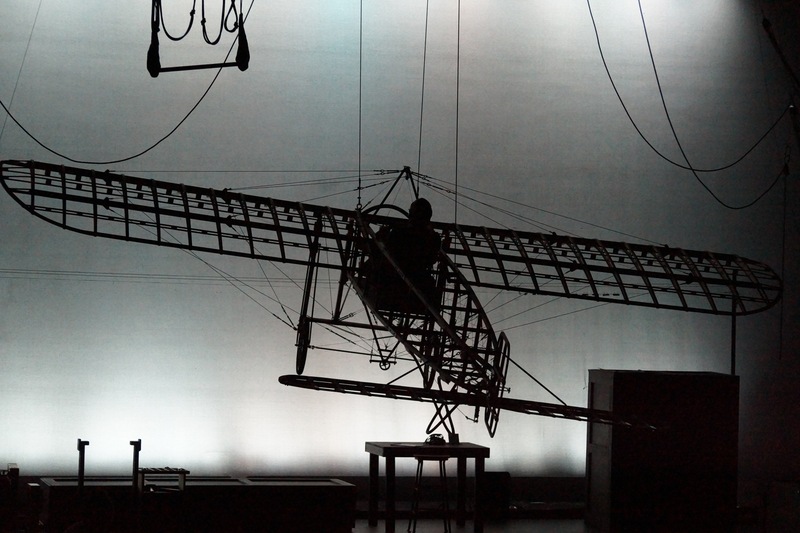 Memorable projects in design for theatre and dance include: The development and world premiere of Flight, with Pacific Performance Project/east; multiple works by Peter Kyle Dance at both the Joyce Soho and Abrons Art Center, New York City; the western states premiere of Don DeLillo’s Love-Lies-Bleeding at Boise Contemporary Theatre. He has also taught theatre at both Michigan State University and the nationally-renowned University of Evansville. Jeremy first came to Flint Youth Theatre in 1997 and worked as a resident artist, technical director and production manager until 2001. He is originally from Oklahoma and holds a BFA in Theatre from the University of Oklahoma and an MFA in Design from the University of Washington. In the short time since its formal launch in 2006 at the historic Abrons Arts Center / Henry Street Settlement, Peter Kyle Dance has performed at venues throughout New York City, across the United States and in Europe. The exciting and refreshing blend of excellent dancing with rich, innovative choreography is engaging audiences that are both familiar with contemporary dance and those that are brand new to the art form. Forging new collaborative territory with creative partners in theater, dance, music, visual art, film, sound design, digital and video art, choreographer/Artistic Director Peter Kyle is consistently growing his company into a vibrant new voice in the dance and performance community. Drawing on years of experience as a performer with some of the world’s premier modern dance companies including Nikolais & Murray Louis Dance, Mark Morris Dance Group, and Erick Hawkins Dance Company, Peter has received grants and/or awards from Concours Internationale de Danse de Paris, Walter Chapin Simpson Center for the Humanities, the Washington State Arts Commission, the American Music Center, and rehearsal and/or development residencies from One Arm Red, Abrons Arts Center, Studio 5-2/Gina Gibney Dance, 92nd Street Y Harkness Dance Center, and Artward Bound. A highly regarded teacher, conducting national and international teaching residencies and workshops, Peter has taught thousands of students from elementary school to the professional level.